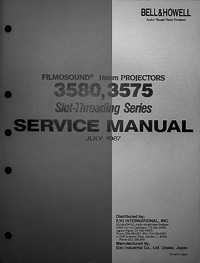 Photocopy of the original Beseler PM2L Color Analyzer Instruction Manual. Photocopy of the original 1982 owner's installation manual titled Silvpac Mini BF Electrolytic Silver Recovery from Bleach-Fix and/or Fix. Photocopy of the original 1981 CPAC owner's installation manual titled Silvpac Mini BF/NR Electrolytic "Tailing" Unit. Photocopy of the original 1981 CPAC owner's installation manual titled Silvpac T-2R Electrolytic Silver Recovery Unit. 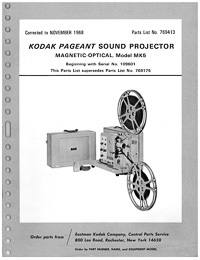 Photocopy of the original King Concept Enterprise Photographic Processor Owner's Manual. 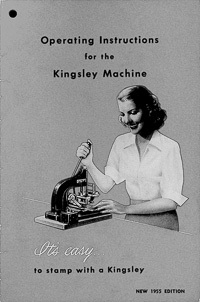 Photocopy of the original 1955 Operating Instructions for the Kinsley Hot Foil Stamping Machine. 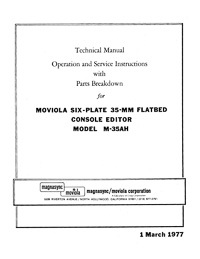 Photocopy of the original Seal Operating Manual for the Standard 120, Commercial 200, Jumbo 150 and Masterpiece 350 Dry Mounting / Laminating Presses. Photocopy of the original Seal Operating Manual for the Jumbo 160, Commercial 210, Masterpiece 500T, Jumbo 160M and Commercial 210M Dry Mounting / Laminating Presses.